What makes someone a founder? We speak with 7 refugee entrepreneurs turning their ingenious ideas into concrete business plans. 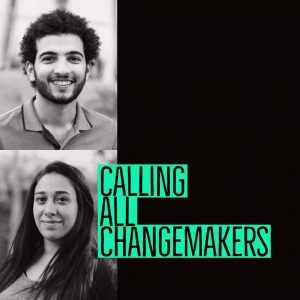 Last summer, 20 bold entrepreneurs met as the SWB Coaching Competition kicked-off in the heart of downtown Cairo. The sessions started off with a group session led by Business Coach Reem Sherif, who went on to meet the entrepreneurs one by one – from Startup Haus Cairo to online sessions in the Netherlands, Lebanon and Palestine. 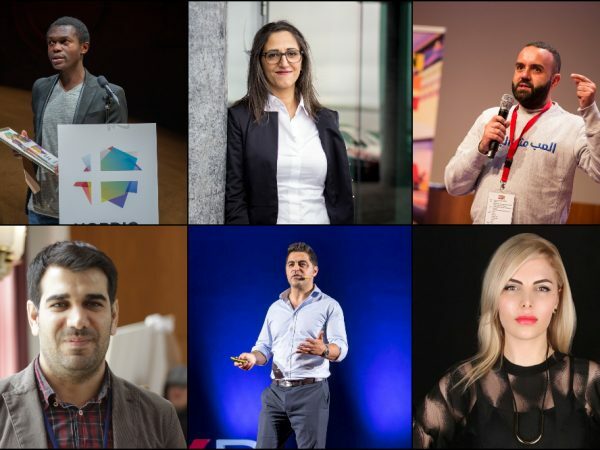 Among the entrepreneurs, we sat down for a chat with 7 valiant change makers who are turning their dreams into concrete steps to start their companies. From educational tech platforms, to up-cycling and female empowerment communities, these are the startups taking shape in Egypt’s capital. 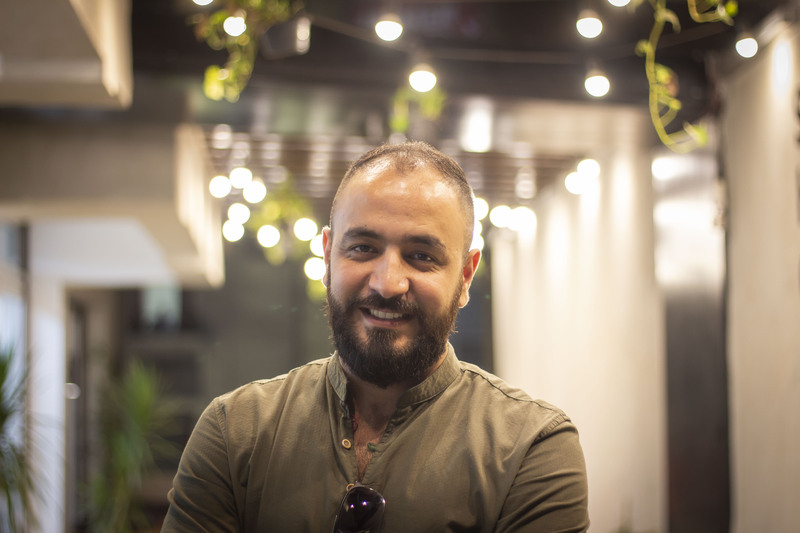 An IT graduate from Damascus University, Motaz Al-Azoubi moved to Egypt in 2013 and began working across several tech companies, including one of Egypt’s most successful startups, Crowdanalyzer. 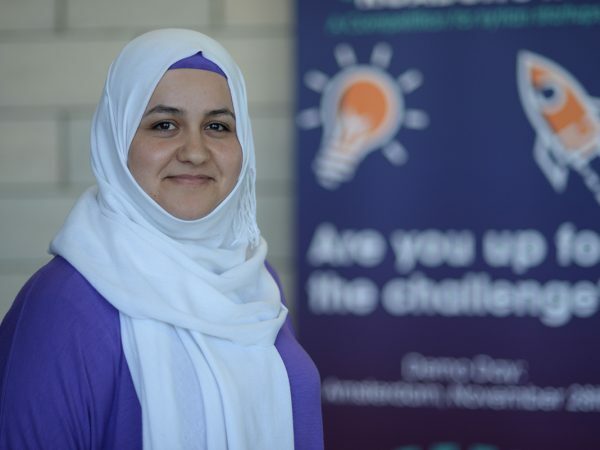 “During my last year working at a Syrian company, I started working on my idea, Mentoria,” says the young entrepreneur, who is setting off to connect tutors with students in need of mentoring. The online platform aims to match-make teachers to get exposed to a wide variety of students and refers students to the best teachers in their neighborhood. 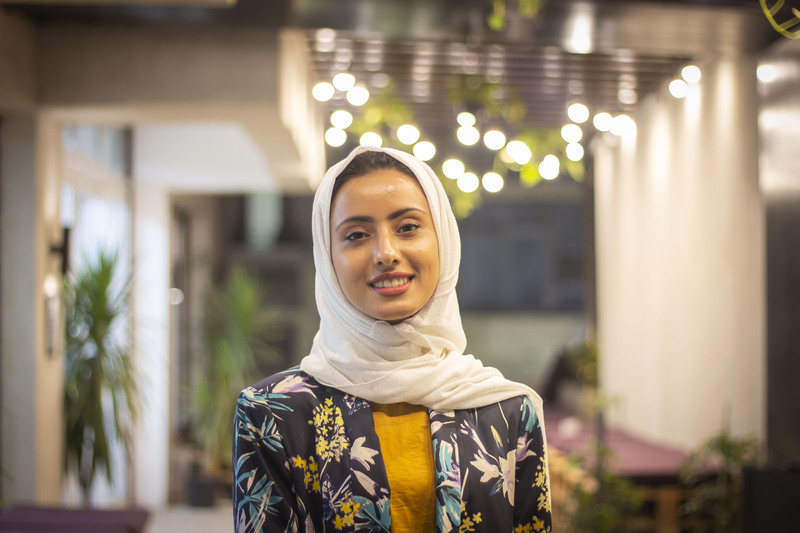 “I believe my home is the Earth; Yemen is the place that I came from; it is my identity but I am a global citizen who will be serving all humans wherever I go,” says a very young Sama Albarawi. “I believe that if you want to do something, you should do it regardless of where you are.” Inspired by her name, her mother’s raw blends, and her passion for beauty, Sama Albarawi decided to create her own business, The Sky shop, at 19 years old. Sama’s name, which in Arabic translates to’’Sky’’, is the Moto behind her business, which launched its first product, a facial cream called ’The Happy Skin Cream,’ through social media channels Facebook and Instagram. Despite being only four months in the business, her product is already cashing in revenue with 84 boxes sold all over Cairo. 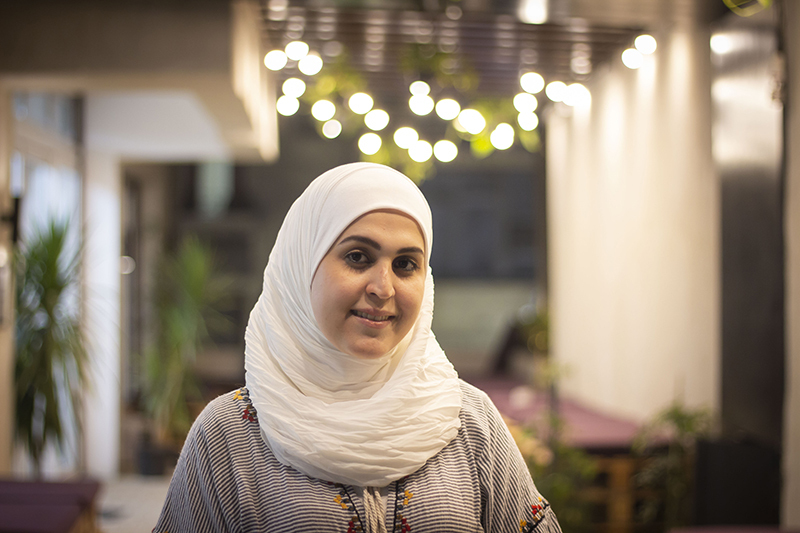 Being a mother is not an easy job: That’s how Syrian entrepreneur Reem Sabouni was inspired to set up her own business. Reem is the founder and CEO of Mom’s Club, an online and offline community that serves 8.000 women Cairo, providing guidance and support, while delving into unexplored fields like the Montessori educational approach. 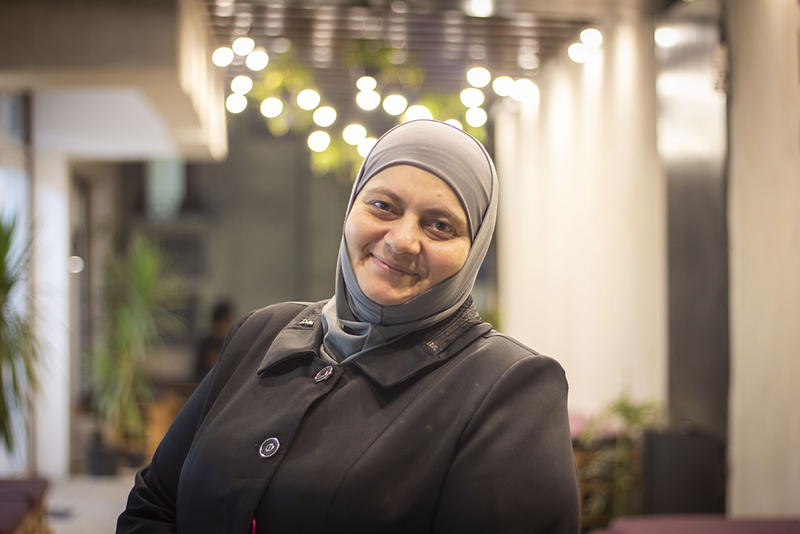 “I dream of helping every Arab mom to enjoy her motherhood journey by guiding her with educational classes and supporting her psychologically,” says Reem, who leads motivational talks and trainings across Egypt. “I came to Egypt for work and then got stuck here. I felt that society here needs me”, says Latifa Fathy Doughman, a Palestinian-Syrian entrepreneur whose passion speaks for itself. Latifa was born to Palestinian parents who took refuge in Syria. But when conflict began, she moved to Egypt, where she started working to help Syrian and Egyptian youth find employment opportunities. “I’m a Human Resources Trainer and I also do counselling,” she explains. 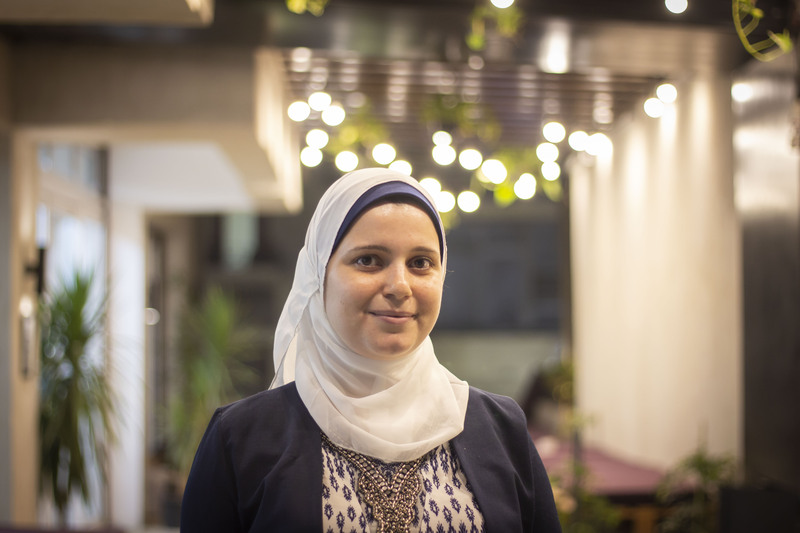 One of the winners of our Women on the Move pitching competition, Latifa leads the Syrian Women’s League Maadi and Helwan chapter, and is also the founder of “Mogtamaa Waay Wa’akthar Hemaya,” an initiative she launched to increase awareness on social issues like violence against women. 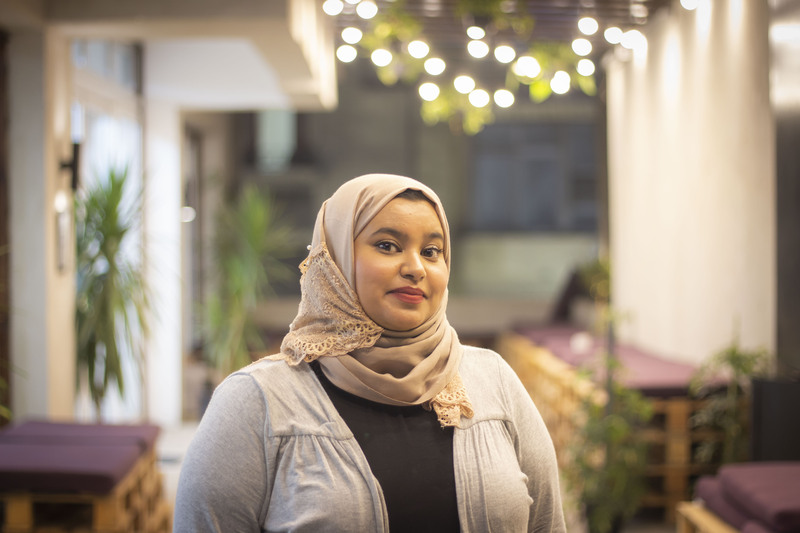 Fatima Sayyed is a Yemeni entrepreneur who, while working as a psychological and social worker at the PSTIC organization, started her own project, Balquees. The initiative, launched in 2016, supports and empowers the Yemeni community in asylum in Egypt providing training and educational courses for adults, as well as a recreational nursery for kids. Rama Iskandrani didn’t expect her education and career path would kick-off away from home – and after divorce. “During the start of the war in Syria I flew to Egypt to marry a man I had met. But soon after, we got divorced,” she says. 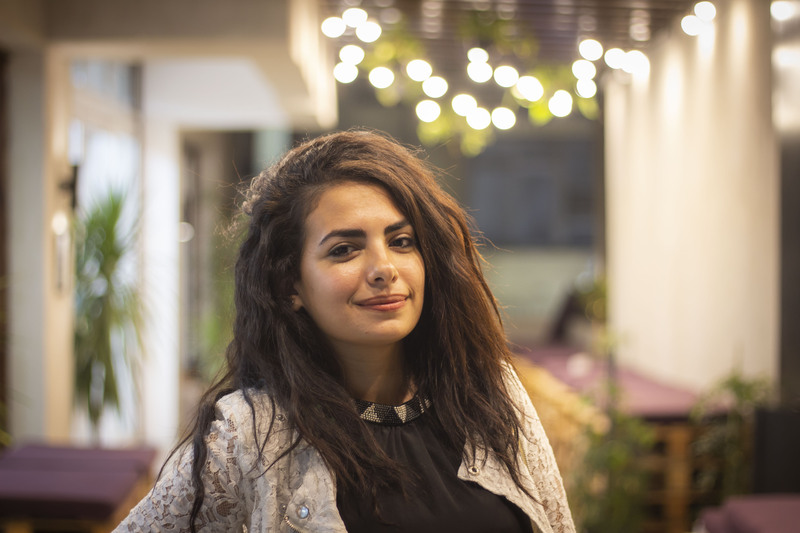 “My education and career started after my divorce when I began studying arts in Zamalek, Cairo.” Rama worked across multiple fields, including in the stock market and several community organizations; but her interest in fashion, art and design sparked her passion to start her new business idea, “Spirit Fashion.” The startup offers an online marketplace for up-cycling, where women can buy and sell vintage items and upcycle them. “The marketplace is like a planet for women, where they can recycle old things that they had and sell them for cheap prices,” Rama says. A housewife with an ambitious spark, Nour aims to grow Egypt’s hard-beaten tourism industry with her project, a one-of-a-kind facility designed for honeymooners and couples’ retreats. “My dream is to see my ideas turn into a reality and see them with my own eyes. 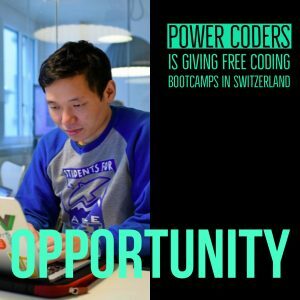 I also want to make a huge impact on the world,” says the entrepreneur, who Graduated from the School of Law and is now exploring partnerships to develop her business idea. Photography and video: Lenah Hafez.